The Costa Rican Humanitarian Foundation (CRHF) is a non-profit organization committed to developing creative and economical solutions to a wide range of social problems in Costa Rica. The CRHF provides opportunities to exchange friendship, goods, services, and financial resources for critical needs among different cultures, socio-economic classes, and language groups. 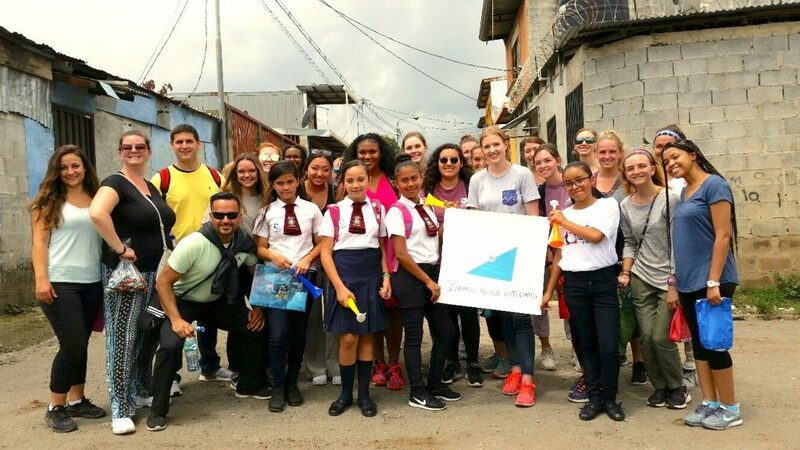 A group of volunteers in La Carpio working with a group of local students. Volunteers and contributions are essential for developing social improvement projects in Costa Rica. Our vision is to create a better quality of life for all those we work with, supporting at-risk and special needs populations so they may have more choices for their future and fostering greater sensitivity in populations providing services.